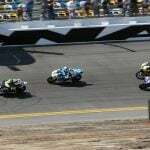 Billed as the replacement for the much loved and admired Sportmax D211, when Yamaha riders Garrett Gerloff and Cameron Beaubier mounted the new GP-A Pro on their R6 Daytona Sportbikes, their lap times dropped significantly compared to the old D211. 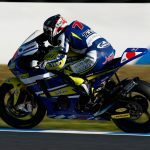 “The new tire offers better edge grip,” said Beaubier. “I feel much more confident at full lean, and the bike seems to finish corners better and track better under braking.” Higher traction and better steering from the prototype tire is a result of compound and construction, and the techniques used in that prototype tire ended up in the production Sportmax GP-A Pro. Introduced to the AMA Paddock at the 2014 Mid-Ohio round of the AMA Road Racing championship, the all-new DOT GPA-Pro is a step up in performance—and not just for professional riders. 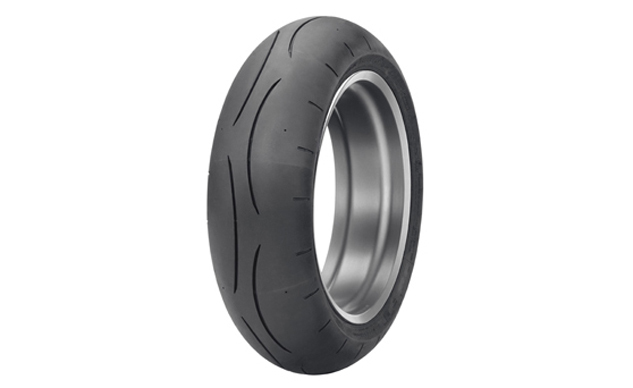 Dunlop’s Bi-Directional Technology and symmetrical tread pattern allow the new GPA-Pro rear to be flipped in rotational direction to get more laps out of the tire. This versatility helps club racers and track-day riders stretch their tire budget, especially at racetracks that are harder on one side of the tire than the other. The GP-A Pro sidewalls (front and rear) incorporate the same carbon-fiber technology introduced in Dunlop’s Sportmax Q3. This carbon fiber reinforcement element in the sidewalls helps provide exceptional cornering stability and predictable and smooth transitional-steering traits. 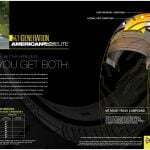 The Jointless Tread application is key to the GP-A Pro bi-directional construction in the rear tire. Using the process pioneered on the bi-directional KR451 slick race tire, sophisticated production machinery in Dunlop’s Buffalo, New York plant winds the tire tread onto the carcass in a continuous strip allowing the rear tire to be run in both directions. The GP-A Pro incorporates a new, symmetrical tread pattern on both front and rear tires, which was developed through real-world race testing at tracks around the country and the Dunlop Proving Grounds in Huntsville, Alabama. Compared to the previous-generation D211 GP-A, the “land-to-sea” ratio of the GP-A Pro tread pattern places appreciably more rubber down in the working area of the tires to offer enhanced performance.